Since Lenovo took over Motorola four years ago and subsequently shook up the Moto G series, fans of the budget-centric lineup have been presented with a Plus variant of the standard model. This year we get the Motorola Moto G7 Plus. Even more interesting is that this year’s G series has a total of four variants, including the standard G7, Play, and Power variants. Its business as usual when it comes to the Moto G7 Play, but we have a new member in the shape of Moto G7 Power. If interested in details about these other Moto G7 variants, be sure to check them out via the links shared at the end of this post. As for the Moto G7 Plus, let’s check out the specs and features it brings to the crowded budget smartphone segment as well as the pricing and availability now that it has been made official. Extras: Bluetooth 5.0, 3.5mm audio jack, Rear-mounted FPS, Face recognition, 27W TurboPower fast charging, NFC in some markets, etc. The Moto G7 Plus sits at the top of the new 2019 Moto G series and its for the right reasons. Although you get the same design language as the standard G7 featuring a waterdrop-style notch on the front and a 3D glass back that is protected by Gorilla Glass 3, the G7 Plus is more powerful on the inside. It swaps the Snapdragon 632 chipset for a Snapdragon 636 unit but keeps the same memory options of 4GB RAM and 64GB storage. Unlike the G7’s 128GB max., the Plus lets you expand storage up to 512GB. It will also run on Android Pie 9.0 OS out of the box, support dual SIM connectivity, and ship with a 3000mAh battery like the G7, but the Plus gets more superior 27W TurboPower fast charging tech that promises 12 hours of use with just 15 minutes of charging. This charging happens via a USB-C port, which isn’t present at the expense of the 3.5mm audio jack. Despite the glass back, there is no wireless charging. 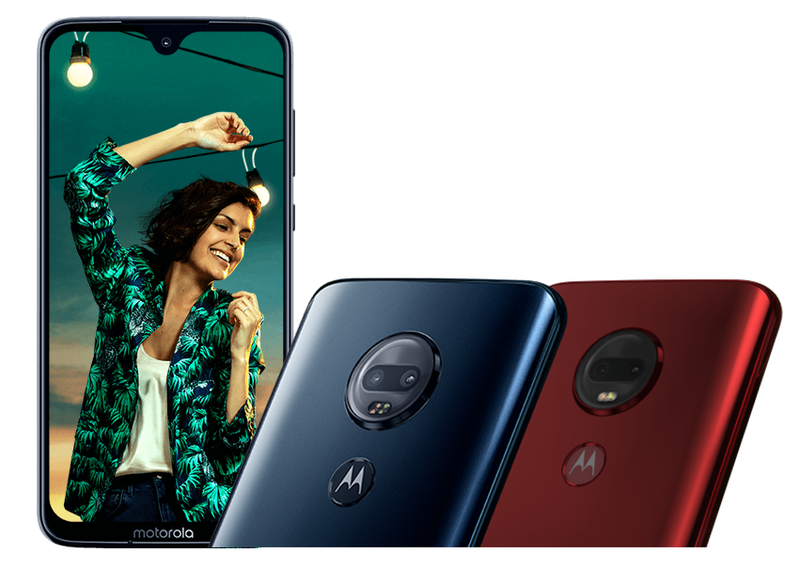 Coming to the camera, the Moto G7 Plus houses a better, dual-lens camera (16MP and 5 MP) on the back with optical image stabilization and a singular front-facing camera (12MP) for taking selfies and video calling. Speaking of, both the front and rear cameras can record 4K videos of up to 30fps. Other features of the Moto G7 Plus include support for Bluetooth 5.0, stereo speakers, a 3.5mm audio jack, NFC support on some models, facial recognition, and so on. The phone will be sold in Blue and Red color variants, although more paint jobs may be available. The Moto G7 Plus won’t be sold in the U.S., but its coming to Europe, Asia, and other markets beginning March 1st. In the UK, the G7 Plus has a price tag of £269 while the rest of Europe will part with €300. Of course, we expect the phone to begin showing up unofficially on platforms like Amazon later this year, with prices in the regions of $350 being touted. 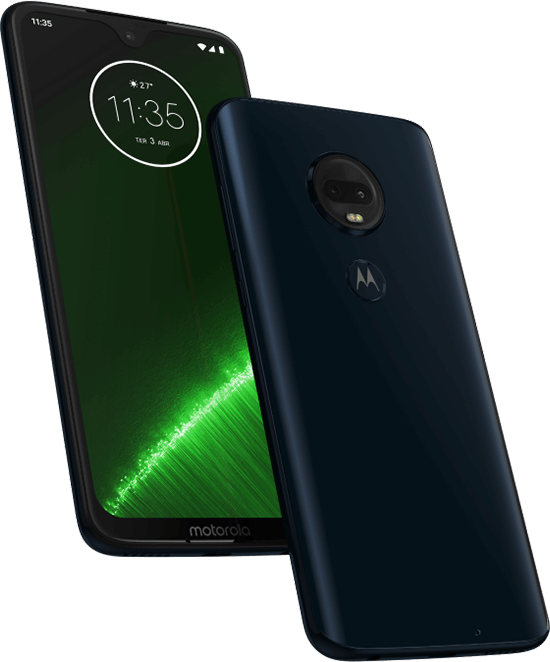 Although not word from Motorola itself, those in Australia, Brazil/Latin America, Japan, New Zealand, and Western Europe can be sure of getting one of these locally. The Moto G6 Plus arrived in India in September 2018 and while the level of competition in the budget segment in the country basically pronounced the phone DOA, the story might be different when the G7 Plus arrives in the Asian sub-continent. When exactly remains a mystery, but we should know pretty soon now that the phone is here. For any smartphone, the Plus variant is always ahead of the standard model in most ways and this is true for the Moto G7 Plus with respect to the standard G7. But how good is the former over the latter? The Moto G7 Plus comes with a superior Snapdragon 636 processor that promises more powerful performance than the standard G7, which has a Snapdragon 632 chipset on board. While differences in performance might not be noticeable always, they start creeping in when taking on heavy tasks such as gaming and multitasking. The Moto G7 Plus has a dual 16MP + 5MP camera on the back. Compared to the dual-lens 12MP + 5MP combination used on the G7, you are promised better photography on the Plus variant than the standard G7. Even better is that the Plus variants main 16MP shooter has a wider f/1.7 aperture and supports optical image stabilization as well, things that are missing on the G7. 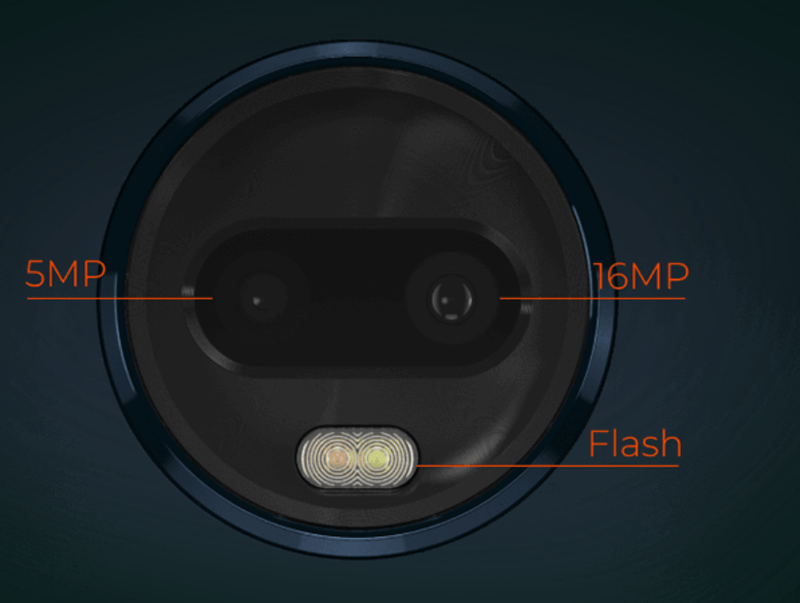 The story isn’t so different for the front camera, which has a 12MP shooter compared to the 8MP lens used on the G7. Where the former can record 4K videos of up to 30fps, the latter can only manage 1080p videos at the same frame rate. Three of the four Moto G7 handsets support the company’s TurboPower fast charging technology, but the G7 Plus takes it a notch higher. Unlike the G7 and G7 Power that have 15W fast charging, the G7 Plus has 27W fast charging. Where the former gets you 9 hours of battery life with just 15 minutes of charging, the latter promises 12 hours of use with the same amount of charging time, the company claims. The Moto G7 Plus is good news for audiophiles. Besides sticking with the 3.5mm audio jack, the phone also comes with stereo speakers that promise much better sound for video and games. With the help of Dolby Audio, you should end up with crystal clear amplified audio on your handset for the best entertainment. Bluetooth 5.0 is the latest version of the wireless technology that you’ll even find in top-end smartphones, but it has been finding its way to more budget phones, among them the Moto G7 Plus. This is all thanks to the Snapdragon 636 chipset used in the handset and with this tech, you are promised of faster and more secure file transfer compared to Bluetooth 4.2 found on the G7. Also, Bluetooth 5.0 supports connectivity at longer distances, both outdoors and indoors. The budget-to-midrange segment is one of the most fiercely contested smartphone categories and the Moto G7 Plus happens to fall here. There are plenty of great offerings in the sub-$400 category that are likely to give the G7 Plus a run for its money, especially when the value for money comes into play. We are looking at devices like the Xiaomi Pocophone F1, Redmi Note 7 Pro, Xiaomi Mi A2, Huawei Honor Play, Honor 8X, Asus ZenFone Max Pro M2, Huawei Nova 3i, Huawei Mate 20 Lite, and so on. All of these phones have solid specs, premium-like designs, great cameras, run the latest software (or are promised to get an upgrade to Pie), and best of all, they are quite affordable in their own sense. Will the Moto G7 Plus successfully take on the competition? Only time will tell, but of course, a lot will depend on their pricing. 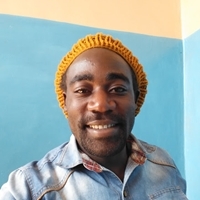 People have different reasons they buy certain phones or rather remain loyal to certain brands. If Motorola is your thing, there is no doubt that the Moto G7 Plus is worth your money. However, for those who are still unsure whether to buy the G7 Plus or maybe it won’t be coming to your market, check out this post for more options. Also, we have more coverage on the other variants of the G7 via the links below.